Discussion in 'Wii-U Games' started by dr no, Feb 21, 2013. Should make some very happy. I'm looking at you Safcalibur!! Me? I'm yet to be convinced of the gameplay from what I've seen. I'm also interested in this game. Goes to show WiiU isn't being ignored by all at least. Here's hoping the Wii u version isn't too far off this! Very interesting concept, being able to hack everything electronic and cool looking game. Was that vid of the game played on a top end pc? or was it a PS4 dev kit? I think it was running of a PC designed to ps4 specs. Yeah the game does look very good and I'm thrilled it's coming to the Wii u, let's hope the port is a good one! Pretty sure they admitted that was running on a PC? Looks set to be a great conversion. The tablet looks like a natural fit for the game so lets hope its ported over well to the wii u. Maybe the Wii U version will be the one to get. Has been given a release date of Nov 19th for North America and 22nd Nov for Europe. Has been given a release date of Nov 19th for North America and 22nd Nov got Europe. A quick look using google shopping and again, all retailers seem to be asking more for the WiI U version. Pricing could change closer to the time but anybody looking to pre order now will no doubt go for the cheaper option. Lol i was doing the same thing! It is annoying that the Wii u version is more expensive but if gp integration is done well and enhances the experience and the graphics are better than the ps360 versions it might be worth it! Looks great, very excited for this one. Great of Ubisoft bringing these titles to Wii U when everyone else is shunning the console. Looks great. Exeter City F.C Best in the South West!! I know, kudos to them. I hope the Wii u version is well thought out in terms of gamepad integration, if done well it could offer a very unique spin on it which no other platform can offer. This is what nintendo need more of. Their first party games well no doubt use the gp well but we need other devs to utilise it so the Wii u versions will offer unique experiences. I'm still waiting to hear about Ghost Recon Online, my fave shooter series. Yes i forgot about that! That was announced as a launch title iirc but postponed so they could work on the PC version. They had some early footage of it which looked promising. Hope that gets back on track. Just read they won't be working on it until they are completely happy with the PC version. 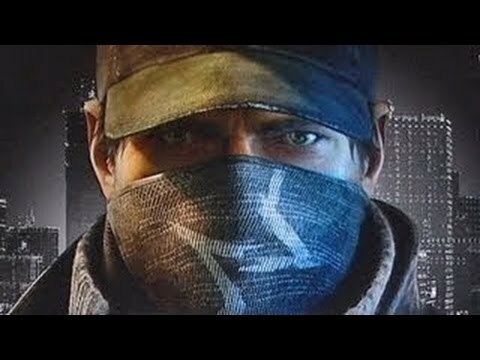 Just a heads up, if you've not been on the other forums, up to say that Ubisoft have delayed Watchdogs until spring 2014. The reason they are giving is to give the game extra polish, but I'd say they are trying to protect the Assassins Creed franchise. Problem is that the spring window will have Destiny and Titanfall in it, as well as the new infamous on PS4, so it's going to get a bit busy! Im relieved this has been delayed TBH! Still got to finish Wind Waker, then rayman legends, Sonic Lost Worlds, Assassins Creed Black Flag, Batman Arkham Origins, Deus EX then Mario 3D World!!! Not to even mention the arrival of my PS4! No issue for me either. Still got gta v, sleeping dogs, saints row 4, and forza horizon to finish and with batman next week, mario 3d next month and gt6 start of december I have loads to play. Good news all round! Saves my wallet and gives me a bit of extra time to clear some of my backlog. Spring is going to be quite empty by the looks of it so this'll actually get more attention I reckon. Ubisoft have yet to confirm this but if true then it would be yet another bitter blow to Nintendo and its fans. Oh please no, I was really looking forward to this. Ubisoft refuse to comment on cancellation rumours.